Clarification of water is an important process to remove solids from the water before discharge. 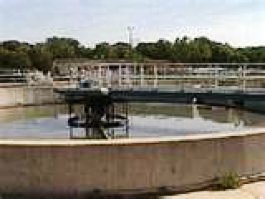 We offer a full range of wastewater treatment products at very competitive prices. We provide custom polymer blends for specific applications to improve environmental compliance, lower sludge volume, lower treatment costs and increase water reuse capability. We customize the waste water treatment program based on testing at your facility. Our goal is to provide the right chemistry to match your specific application.